Fever-Tree is the world's leading supplier of premium carbonated mixers for alcoholic spirits by retail sales value, with distribution to over 70 countries internationally. Based in the UK, the brand was launched in 2005 by Charles Rolls and Tim Warrillow to provide high quality mixers which could accompany the growing demand for premium spirits. The Group now sells a range of 14 differentiated flavours to hotels, restaurants, bars and cafes ("On Trade") as well as supermarkets and off-licenses for retail purchase ("Off Trade"). Approximately 50 per cent. of the Group's sales were derived from outside of the UK in FY17 (FY16 56 per cent.) with key overseas markets including the USA, Spain, and Belgium. The Group's mixers are designed to be accompaniments for alcoholic spirits or used in cocktails, although they can also be consumed on their own. The range now includes 6 variants of tonic water, 2 variants of lemonade, 3 variant of ginger ale and one each of ginger beer, soda water and cola. Our Mission - To combine the highest quality naturally sourced ingredients with expert manufacturing techniques to produce an unrivalled drinks experience. The Group expects to continue to influence and benefit from the twin drivers of global spirit category premiumisation and the move towards simple long drink mixability, as evidenced by the continued rise in popularity of a premium gin and tonic across the UK and Western Europe, the resurgence of the Moscow Mule in the USA and the global opportunity within the wider dark spirits category. The Group intends to drive increased penetration in all of the markets in which it has established a presence, increasing the number of customers in both the On-Trade and Off-Trade. 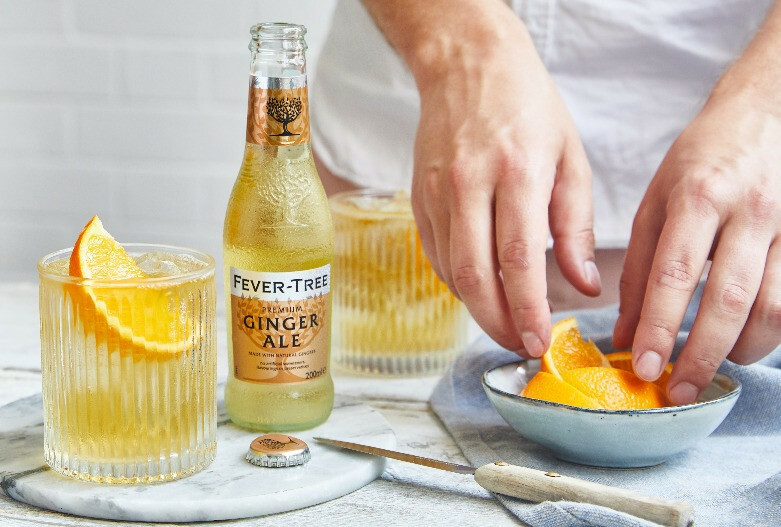 There are opportunities to grow further in the Group's existing territories by expanding the Group's distribution footprint, its customer penetration, and the volume of sales to each customer, particularly as Fever-Tree's awareness grows with end consumers in each territory. Global spirits companies are increasingly focused on driving customers towards higher-margin "premium" products. The Group has proven the value to both parties of co-promoting with leading spirits brands and intends to drive growth from further involvement in co-branded promotional activities with leading spirits brands across the wider spirits category. Whilst the Group expects growth to continue to be driven mainly within its existing markets, it intends to generate growth in the medium to long term by entering new markets and is actively assessing new distribution opportunities. There are further opportunities to develop new products and variations of existing flavours. For example, the expansion of our refreshingly light range of low calorie mixers also under the Fever- Tree brand will took place during 2018. The Group also sees opportunities to develop further limited-edition variants of its products such as the Clementine Tonic and Cucumber Tonic launched in the UK Off-Trade for as well as regional variants for its international markets.